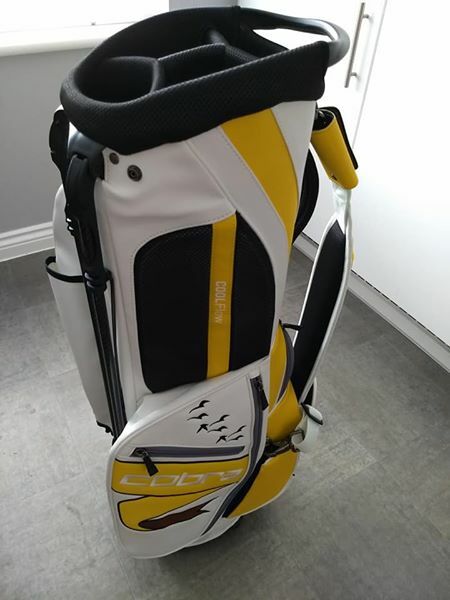 I was lucky enough to win this bag in a competition online, but it's far too nice for a hacker like me and I would like to try and sell it and invest in some new irons. 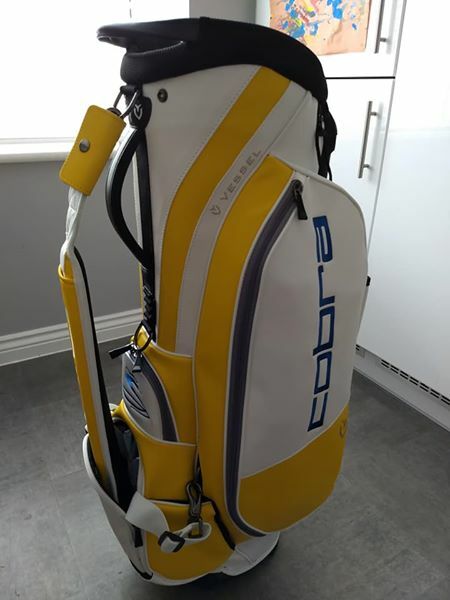 It's a limited edition Cobra X Vessels Tour Stand Bag, made specifically to celebrate this years Open at Carnoustie and was used by Rickie Fowler. Brand new and unused. Roughly only about 10 of these in the world. Payment via either PayPal goods and services or cash on collection. Can be delivered but would have to confirm the price. I should say, it's AS used by Rickie Fowler, not the exact one he used. I'm looking for £500 for this.